Last month, Georgia exported 6.25 million bottles of wine to 24 countries, which is 22 percent more than a year earlier. 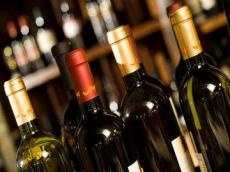 During the reporting period, the neighboring countries' income from wine exports grew by 33 percent and reached $15.2 million. Azerbaijan ranks fourth among Georgia's biggest trade partners, after Turkey, Russia and China. Georgia territorial and climate conditions are optimal for wine-making. Extremes of weather are unusual: summers tend to be short-sleeve sunny, and winters mild and frost-free. Natural springs abound, and the Caucasian Mountain streams drain mineral-rich water into the valleys. Georgia's moderate climate and moist air, influenced by the Black Sea, provide the best conditions for vine cultivating. The soil in vineyards is so intensively cultivated that the grape vines grow up the trunks of fruit trees eventually hanging down along the fruit when they ripen. This method of cultivation is called maglari.